If you're in between sizes and have a full cup (D+), we recommend ordering up. 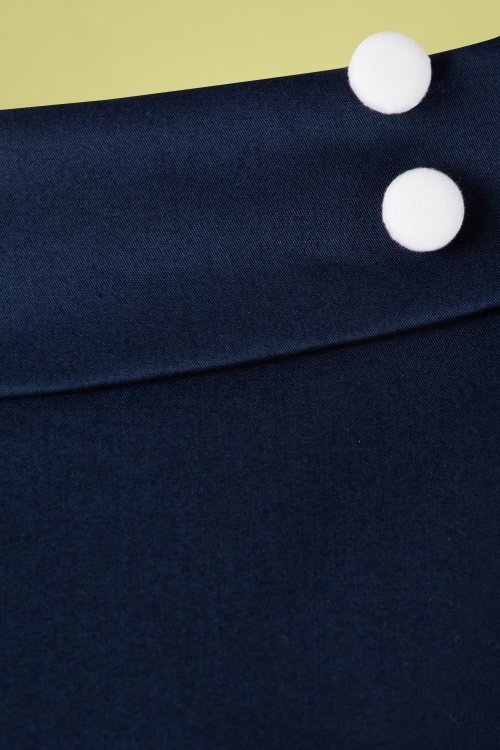 If you have a fuller waist, we recommend ordering the size that fits your waist. The fabric has a light stretch. 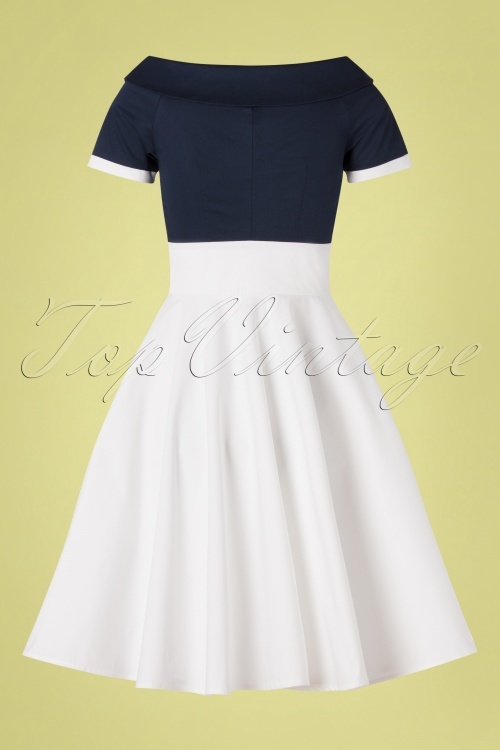 Day or night... You'll keep swinging in this 50s Darlene Swing Dress in Navy and White! 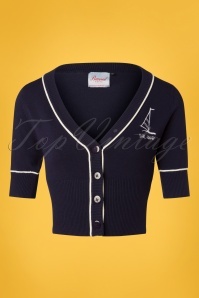 She features a boat neck with faux buttons and contrasting, dark blue top. 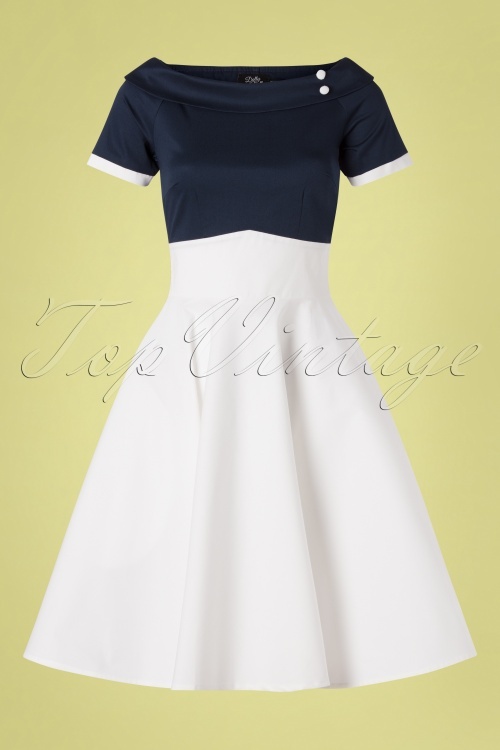 The fitted top and swing skirt ensure a feminine and flirty silhouette, ooh la la! 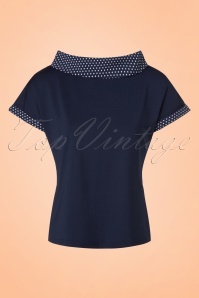 Made of a sturdy, yet breezy cotton blend with a light stretch for a lovely fit. 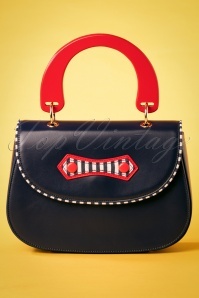 Dress to impress in this beauty! Liebe Nicole, es tut uns leid dass dieses Kleid Ihnen nicht ganz gefallen hatt. Bitte entschuldigen Sie uns! Sobald wir Ihre Rücksendung erhalten und verarbeitet haben, erstatten wir den Kaufbetrag. 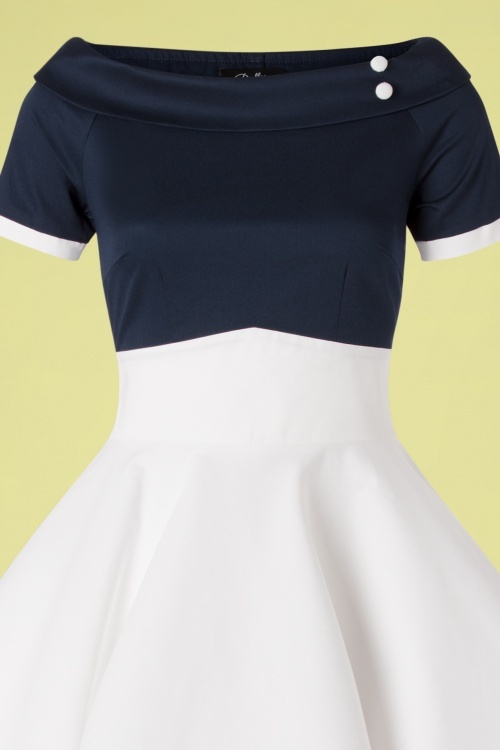 Cette robe trop belle et hyper confortable a fait mon bonheur lorsqu'elle est arrivée tout à l'heure. 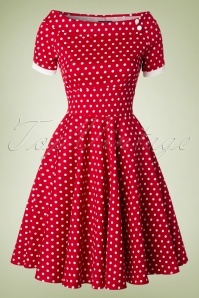 Elle donne une allure magnifique et tourne en cercle complet comme une robe de princesse !